We connected with the University of Redlands' James Spee, the Professor and Chair, Graduate Programs, School of Business, and he shared with us the latest update about their Online MBA program. What type of student typically enrolls in University of Redlands‘ online MBA program? 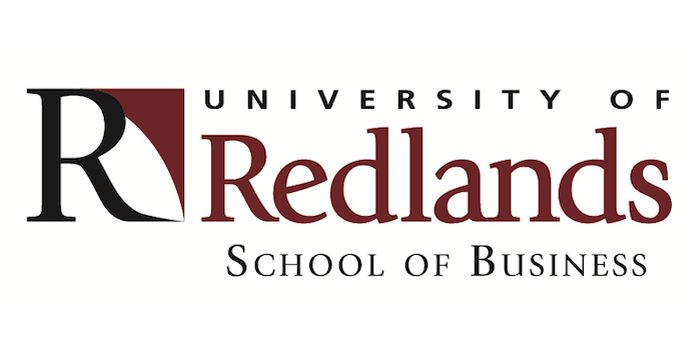 By and large, many Redlands online MBA students live locally in the Southern California area. We have a good number of undergraduate alumni who return to Redlands to earn their MBA and online delivery fits their current season of life, even if there is a regional campus location just down the street. Of course, we do have out-of-state and international students too and this only helps to enhance the learning community and diverse perspectives that impact individuals, teams, organizations, and society. University of the Redlands is a proud Yellow Ribbon Institution—what are some of the ways the program benefits vets and military personnel? The University is proud to be a military-friendly institution. While we are a Yellow Ribbon Institution, the Schools of Business and Education are also our honored to award active military, active military spouses and active reservists the military tuition rate which aligns with the current tuition assistance issued by the U.S. Government making a private, non-profit education possible for our brave military families. We have a dedicated Office of Military and Veteran Services and a Veteran Students Organization. University of Redlands emphasizes a customized education for the individual students: how can you offer this and how does it benefit students? The online MBA program offers several opportunities for students to customize their education. First, they can select the general MBA or from two concentrations: marketing and finance. Additional concentrations will be added soon. Third, online MBA students can choose from one of two consulting capstones, one domestic and the other international. Each team spends a week at the client’s location then returns home to complete the final draft of their project. Our students interact with faculty through several channels. They upload a video at the beginning of the course introducing themselves to the instructor and to each other. Most courses have one or more synchronous teleconferences in which students interact with their instructor in a variety of ways. Some instructors present course material, others have less formal question and answer sessions. Students can set up their own teleconferences and invite the instructor to join them for one on one or group sessions. Students interact with the instructor within the course using Padlets, Wikis, shared documents, online discussions, and specialized applications developed just for the course. The online MBA at Redlands follows the same course sequence as our on-ground MBA. The first three courses cover core professional competencies for business that are essential for non-business majors. They can be waived by students who have undergraduate degrees in business, shaving 24 weeks off the program. Tell us about the career services and professional resources that are offered to online MBA degree candidates? What is the role of the Student Success Advisor? The Online Student Success Advisor (SSA) serves as the main point of contact at University of Redlands and provide guidance throughout the program. The SSA will be with students from the start of their first class until they graduate and supports them as they work toward their educational and professional goals. Answer questions about academic advising, course scheduling, or tutoring needs. Student Success Advisors typically contact every student before the start of each course and about midway through. Current students report that this was a key element of their successful completion of the program. Over the past two years, Redlands faculty have worked extensively with experienced instructional designers to create an online program that adapts the best elements of the on-ground MBA program to best practices in online learning. In doing so, they have clarified their learning objectives, rethought the activities and assignments used to achieve those objectives, and imported a wide array of learning materials from external sources to enhance the learning experience for their students. Many of these innovations have found their way back to the on-ground courses, enhancing the learning experience for all of our students. Our students and alumni are employed throughout California at companies like United Technologies Corporation, Northrop Grumman, Kaiser Permanente, Sempra Energy and Esri but the list doesn’t end there. Local governments and even the entertainment industry like Paramount/Viacom hire our MBA graduates. We also partner with corporations and organizations to offer on-site MBA programs for employees of our partner corporations. Why should a prospective MBA candidate choose University of Redlands? At Redlands, you’ll gain a business education that develops highly desired 21st century business skill sets through courses taught by committed, distinguished, and accomplished faculty—many of whom are leaders in their fields. What are 21st century business skills? They are competencies identified through scholarly research and interviews with employers in the public and private sectors as critically needed for success. The University of Redlands School of Business has also begun the Purposeful Leadership Initiative, an integrated education, research, and outreach enterprise that aims to positively affect leadership styles, skills, and approaches undertaken by students and professionals and to recognize and celebrate leaders in the community who practice purposeful leadership. In 2018, the University of Redlands joined the Microeconomics of Competitiveness (MOC) Network, a group of more than 100 educational institutions around the world that teach the MOC curriculum and collaborate in the area of competitiveness. The network was developed with the vision to create local capacity to understand, teach, and upgrade competitiveness through a highly scalable structure. The Institute for Strategy and Competitiveness at Harvard Business School developed the curriculum, teaching materials, and a platform for disseminating these materials around the world. Leveraging the network structure, faculty now collaborate on teaching, developing cases, and researching as ways to expand the body of knowledge and become leaders on competitiveness in their regions. Thanks to James Spee for participating. For more interviews, check out our Online MBA Report Interview Series.